Meet Anna Pereira and Shari Alyse, founders of The Wellness Universe. Are you afraid of your vision? Do you need to build trust? Do you want to affect change? This is the episode you want to listen too. Listen to the end for a beautiful surprise! Founders of The Wellness Universe, Anna Pereira & Shari Alyse join Laura to discuss how women leaders and business owners can come together in an authentic way. As well as how Anna and Shari can support you to be your best and achieve your goals as you create change, plus much more and a special surprise. 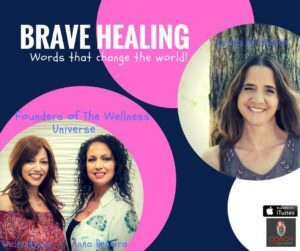 Shari Alyse and Anna Pereira are the founders of The Wellness Universe, an online community, and platform of wellness providers, a company focused on being a catalyst for positive change on the planet. Anna., The Evolutionary Catalyst, with a mission to bring out the best in you!.’ And Shari’s mission is to reignite the light within you and bring back your joy.